Art Bell: Somewhere in Time returns to 9/27/2001 when remote viewing expert Maj. Ed Dames discussed the tactics his team was taking to remote view the events of 9/11. Art Bell: Somewhere in Time returns to 5/3/01 when Rev. Howard Storm described his life-changing near death experience, where he found himself burning in hell. Art Bell: Somewhere in Time returns to 2/13/2002 when Michael C. Luckman, director of the NY Center for ET Research, discussed the “new” Face on Mars, the Disclosure Project, and truth about UFOs. I was all ears til Midnight! Art and Michael opened up on NASA's missing Tether! OMGosh! Tune in at anytime, everyone, thanks to Riddick! Art took Ted Turner to the wood shed over the true inspirations behind 9/11! Art Bell: Somewhere in Time returns to 2/21/2002 when Eric Burdon – lead singer and founding member of The Animals, talked about the crazy beginnings of the British Invasion. Art Bell: Somewhere in Time returns to 4/3/02 when Brendan Cook & Barbara McBeath from the Ghost Investigators Society shared eerie EVPs. 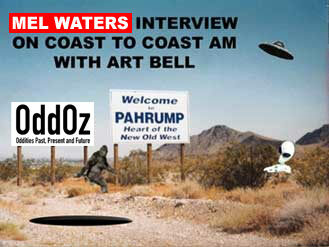 Art Bell: Somewhere in Time returned to 5/3/1996 when writer and publisher Wayne Green discussed ham radio, cold fusion technology, and his contention that AIDS isn’t caused by a virus. Art Bell: Somewhere in Time returned to 2/24/97 for a conversation with (the late) Diana Fairchild (who had 20+ years experience as an airline stewardess) on why so many people get sick from flying. Later in the show, Mel from "Mel's Hole" shared an update on the bottomless hole on his property. Art Bell: Somewhere in Time returned to June 13, 2001 when first hour guest Linda Moulton Howe reported on an underwater city found off the coast of Cuba, followed by remote viewer Stephan A. Schwartz recounting fascinating remote viewing targets. 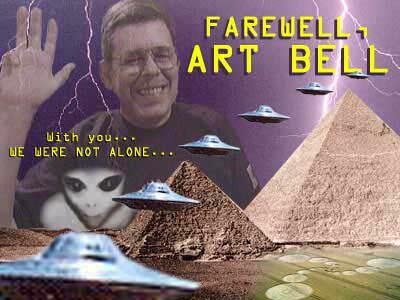 Art Bell: Somewhere in Time returned to 7/8/2002 when paleo-historian John Cogan offered his comprehensive history of humans on Earth. Art Bell: Somewhere in Time traveled back to August 21, 1996 when planetary scientist Harold Levison discussed possible life on Mars, as evidenced in a Martian meteorite. Art speculates that something like this might have seeded life here on planet Earth. 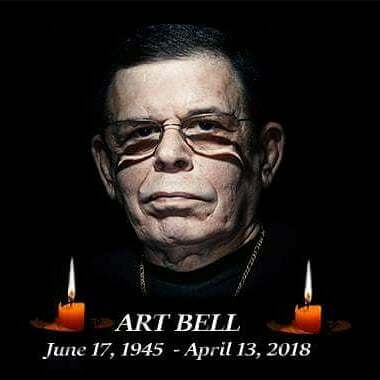 Art Bell: Somewhere in Time travels back to November 6, 2002, when theoretical physicist, Lawrence Krauss, joined Art Bell for a discussion on the interface between elementary particle physics and cosmology, along with the early universe, the nature of dark matter, general relativity, neutrino astrophysics and time travel. Art Bell: Somewhere in Time returns to 11/10/98 when Robert Raith described Dr. Jonathon Reed's infamous alien encounter when he allegedly killed an ET and stuffed it in his freezer. Scientist/author Paul LaViolette also discusses cosmology.